Santa Diaries’ Playbook | Does This Font Make Me Look Fat? 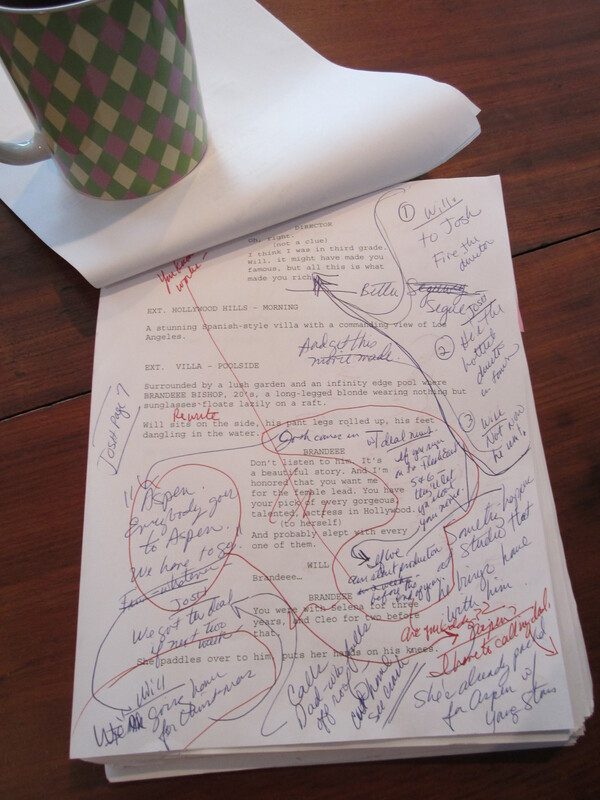 We thought you might be interested in seeing what a revision page of the movie script we’re working on looks like. Maybe it somehow made its way into the Denver Bronco’s playbook and resulted in their spectacular defeat. Figuring out how to make your work better is the hard part of writing…and football. This entry was posted in Christmas, Humor, Memoir, Revision, Script Writing, The Santa Diaries Movie, Uncategorized, Writing, Writing Tips and tagged Denver Broncos, Laura Ambler, Mala Burt, revision, Superbowl, The Santa Diaries, writing resources by Mala Burt. Bookmark the permalink.